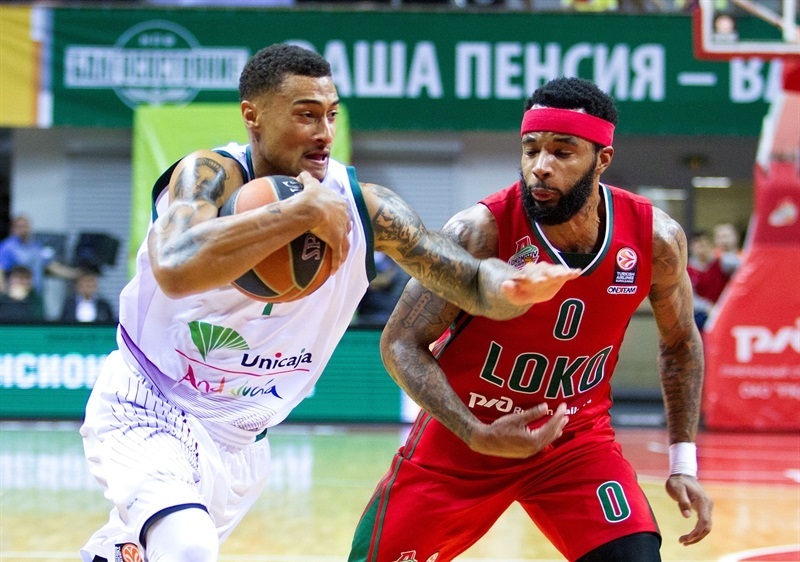 Lokomotiv Kuban Krasnodar took another step torwards claiming home-court advantage in the Turkish Airlines Euroleague playoffs by downing Unicaja Malaga 81-60 at home in Group E on Thursday. Lokomotiv, which had already qualified to the playoffs, improved to 9-4 and will clinch second place if both Crvena Zvezda Telekom Belgrade and Panathinaikos Athens lose their respective games this week. 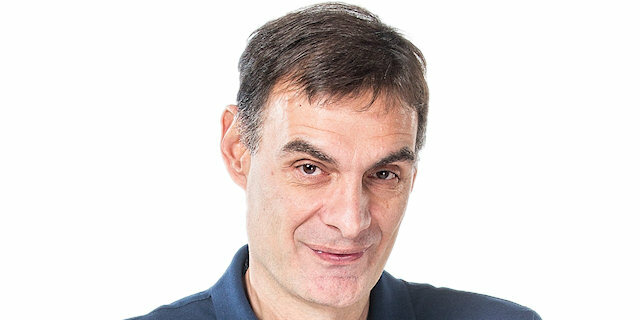 Unicaja dropped to 3-10. Matt Janning and Malcolm Delaney led the winners with 15 points. 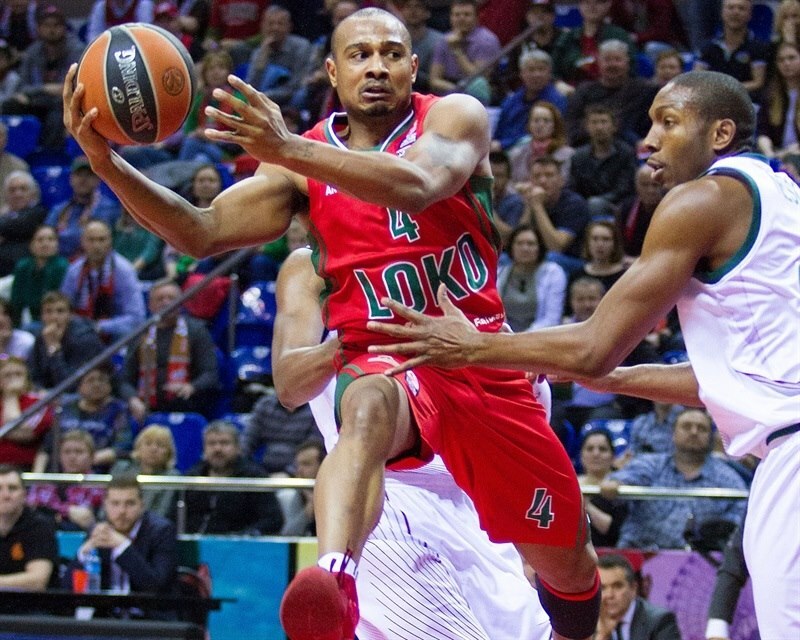 Ryan Broekhoff and Victor Claver each had 14 and Anthony Randolph scored 10 for Lokomotiv. Delaney added 10 assists. Mindaugas Kuzminskas led Unicaja with 16 points. 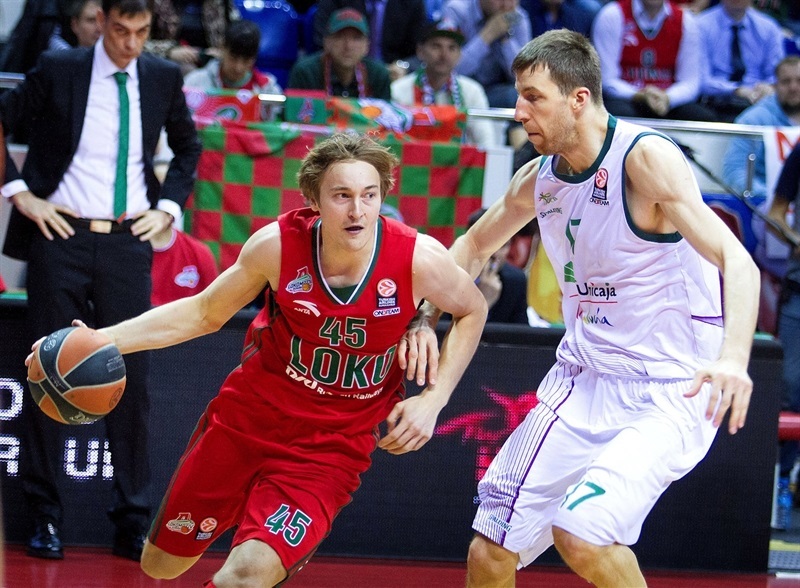 Broekhoff and Randolph shined early to give Lokomotiv a 10-2 lead. Kuzminskas stepped up for Unicaja and free throws by Fran Vazquez brought the guests within 18-14 after 10 minutes. A three-pointer by Kenan Karahodzic gave Unicaja a 20-21 lead early in the second quarter. Janning and Andrey Zubkov combined for all the points in a 9-0 run, which helped Lokomotiv regain a 39-35 edge at halftime. 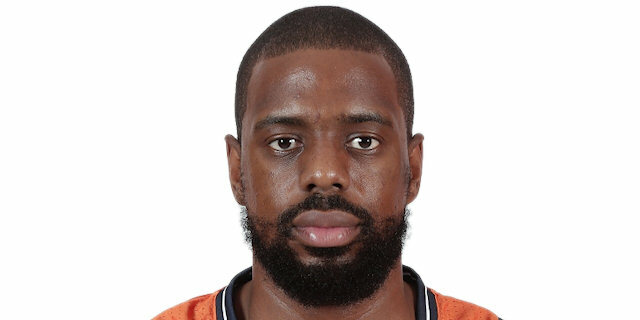 Lokomotiv kept firing in shots from downtown in the third quarter, as Victor Claver, Chris Singleton and especially Janning helped the hosts make it a double-digit game, 62-52. Nothing changed after that, as Claver and Delaney boosted the hosts' lead to 72-57 to seal the outcome. 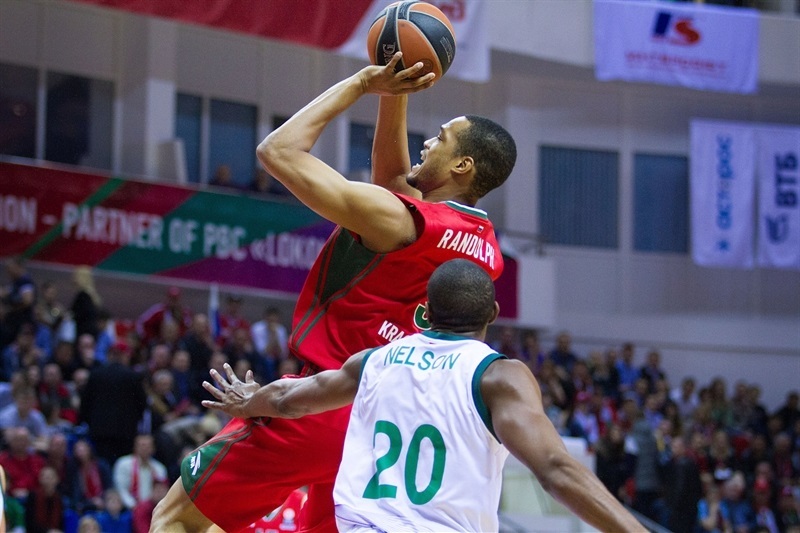 Broekhoff got Lokomotiv going with a layup and Randolph added free throws for a 4-0 lead. Nemanja Nedovic shined with a driving layup, which Delaney matched at the other end. Broekhoff kept pushing the hosts with a corner three and a foul shot by Randolph boosted his team's lead to 10-2. Kuzminskas stepped up with a put-back layup and soon added a two-handed slam that made it 11-6. DeMarcus Nelson tried to change things with a driving layup, which Claver matched with a close basket for a 13-8 Lokomotiv lead. Kuzminskas made free throws and a fast break slam by Nedovic made it a 1-point game. 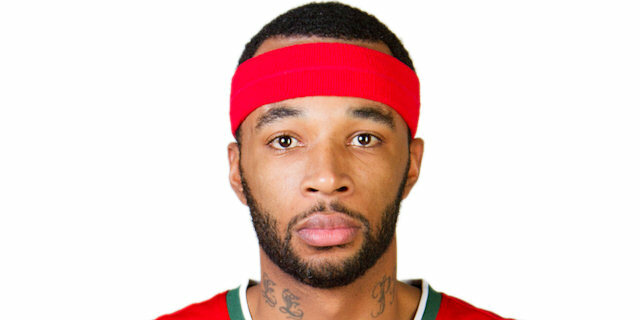 Randolph found Claver for a layup and soon added a layup-plus-foul to give Lokomotiv some fresh air. Free throws by Vazquez kept Unicaja within 18-14 after 10 minutes. Dani Diez took over with a layup off a steal early in the quarter. Lokomotiv kept struggling to score and a close basket by Will Thomas tied it at 18-18. Delaney stepped up with a jumper that Kenan Karahodzic bettered with a bomb from downtown to put Unicaja ahead, 20-21. Delaney answered from downtown, but Thomas matched that with a layup-plus-foul. Janning and Zubkov joined the three-point shootout to give the hosts a 29-24 lead. Janning fired in a triple off the dribble that capped a 9-0 run, before Diez stepped up with a fast break layup. Chris Singleton buried a six-meter jumper that Edwin Jackson erased with a driving layup. 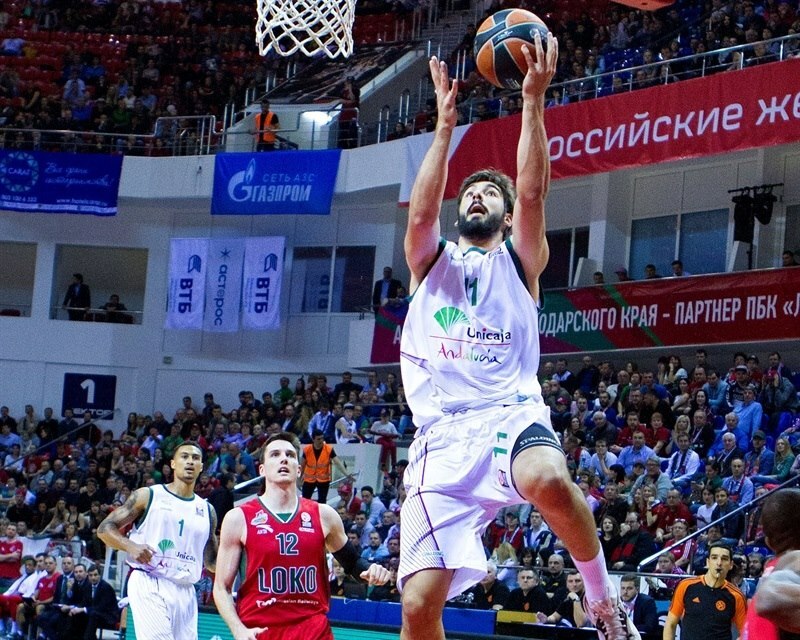 Karahodzic scored around the basket and a three-pointer by Diez brought Unicaja within 34-33. Draper buried his own triple and erased Jackson's step-back jumper with a fast break layup for a 39-35 Lokomotiv lead at halftime. Kuzminskas sank a one-handed floater in the lane right after the break, but Janning did better with a bomb from downtown. 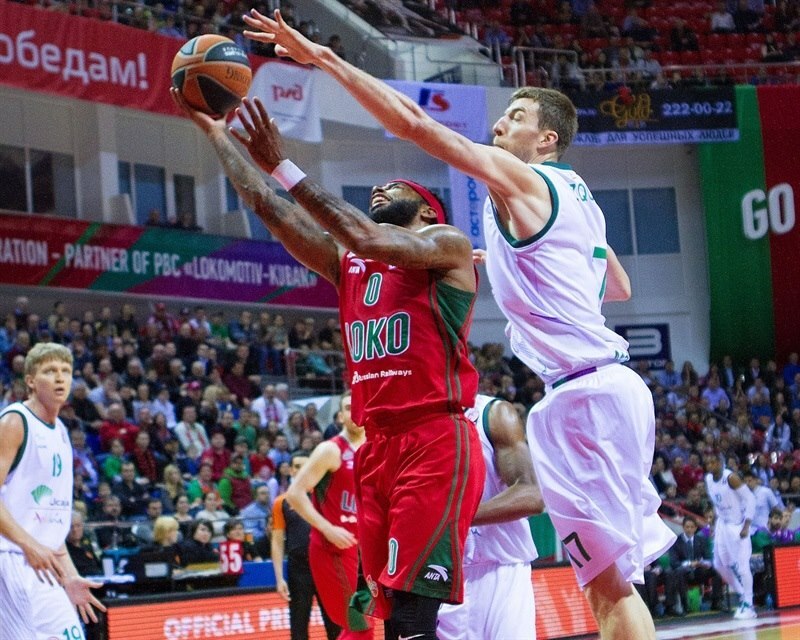 Jackson made free throws, as Lokomotiv struggled to get Claver involved. Claver stepped up with an easy basket, as the hosts tried a tall lineup with him, Singleton and Randolph together on court. Carlos Suarez made free throws, which Randolph bettered with an acrobatic basket and the foul shot that came with it for a 47-41 Lokomotiv lead. Kuzminskas took over with a two-handed dunk, but Claver did better with a triple. Suarez and Nedovic hit free throws and Nelson added a jumper, but Delaney hit a baseline jumper and Janning beat Unicaja's 2-3 zone defense with back-to-back threes for a 58-49 lead. Kuzminskas hit one from beyond the arc, but Delaney and Singleton gave the hosts a double-digit lead, 62-52, which Nedovic cut to 62-55 with a triple towards the end of the quarter. Thomas hit a close jumper early in the quarter, as Unicaja held its opponent scoreless for more than two minutes. 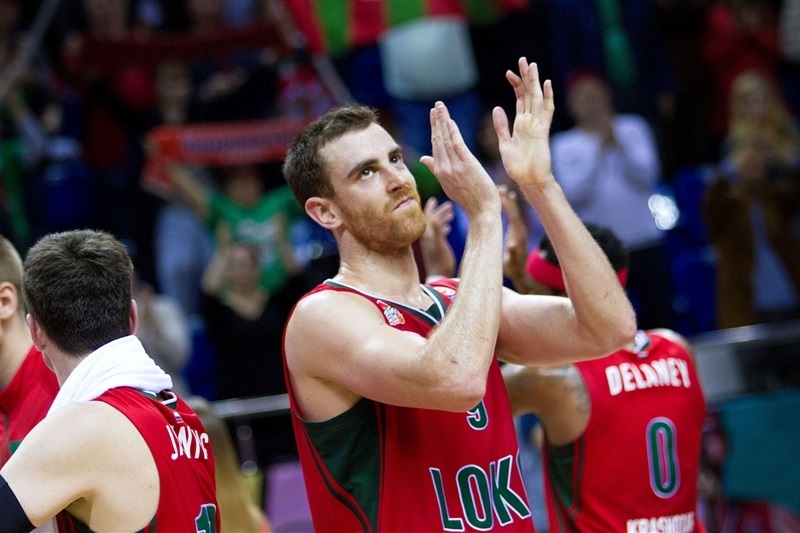 Claver stepped up for Lokomotiv with a layup and soon added a turnaround jumper that gave Lokomotiv fresh air at 66-57. 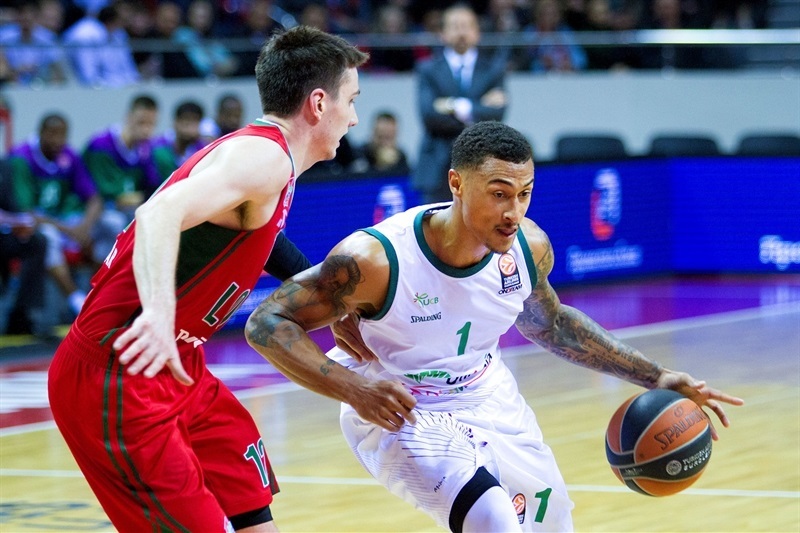 Unicaja kept struggling to score and a corner three by Delaney broke the game open at 69-57. After a timeout, Claver split free throws and Delaney hit both of his attempts to seal the outcome at 72-57 following a 10-0 run. 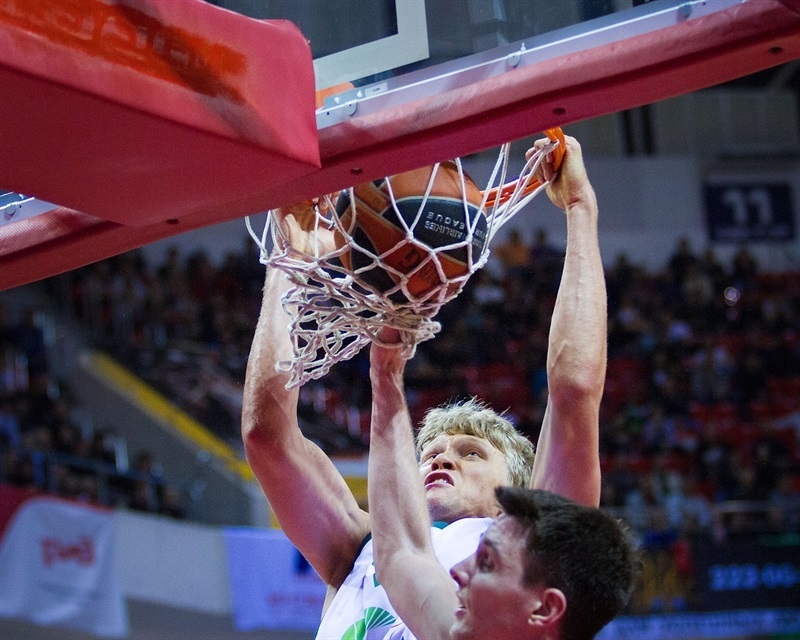 Kuzminskas struck from downtown, but it was too little, too late for Unicaja. The Lokomotiv fans celebrated a big win, safe in the knowledge they will keep cheering for their team in the playoffs. "There are not so many things to say about this game. It was a typical game; one team won the game like a crucial game and the other played without pressure, without anything to lose. Unicaja tried to cool down the rhythm of the game by playing zone for 30 minutes. I have to say I expected this because they played with Laboral away in the ACB League like this for 30 minutes and they beat Laboral by 30 points. So we needed to be more patient to find a good opportunity to shoot. We allowed them 80% [two-point shooting] in the first half, which is very bad for us, especially for our defensive approach, but we improved our defense in the second half and won a game that is very important for the home-court advantage." 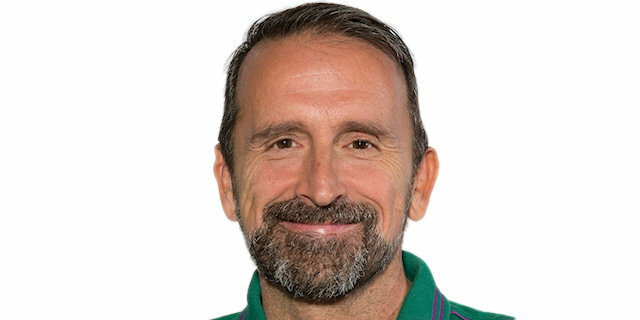 "We stayed competitive almost till the 35th minute, but especially in the last quarter, it doesn’t matter – like I said to the players – it doesn’t matter that you were better than Lokomotiv today shooting twos, it doesn’t matter that you were better than Lokomotiv shooting ones. It doesn’t matter that you rebounded better than Lokomotiv. If you finish with 20 turnovers, and of these 20 turnovers, 9 in the last quarter. We are not sharing the ball. We are not going to free throws in the last quarter. It’s like you are playing for yourself and not the team. We know the quality of the opponent. We were competitive playing with some kind of guidelines and we forget that at the end. 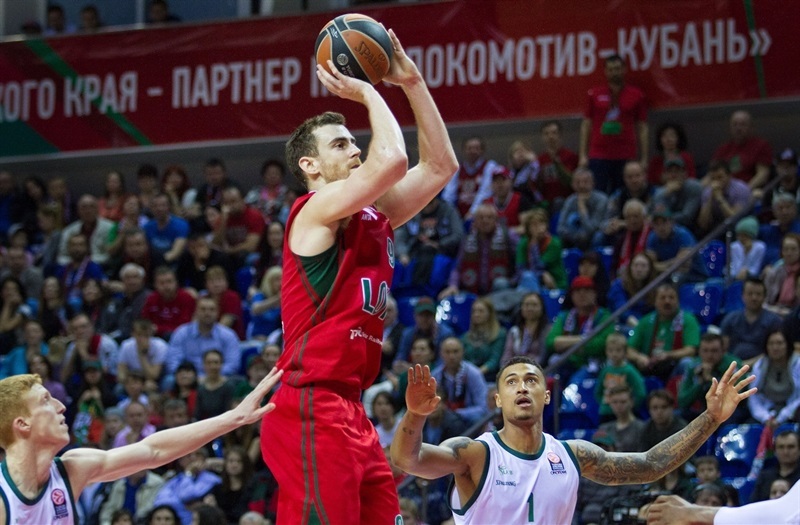 Lokomotiv won the game and we need to congratulate them 100%. " "I think we started out slow; they played zone and we just didn’t share the ball like we normally do in the first half for sure. We didn’t play as well in defense, but we picked it up at the end. That’s when we got the big lead. " "We competed until the fourth quarter when we started having turnovers, bad offenses. Then they started hitting shots. The first three quarters we didn’t have any turnovers, we outrebounded the ball well, got stops were able to run on offense. It’s just the fourth quarter we played bad. "